TEHRAN (FNA)- Iran is using its missile and nuclear technologies to manufacture advanced equipment needed for the country’s oil industry, an Iranian refinery official announced earlier this year. “We have manufactured gas turbine impeller fans by utilizing our domestic missile and nuclear technologies at a cost one-fifth of similar imported products,” Head of the Central Workshop of Shahid Hasheminejad Gas Refining Company Youssefian said. He noted that the manufactured fan is regarded as one of the most complicated parts of (engine’s) compressors. Youssefian said that experts and engineers of Shahid Hasheminejad Company produced the impeller fan through reverse engineering. 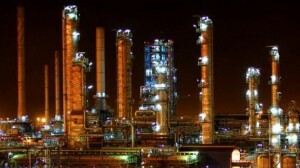 He underlined that the impeller fans at the refinery were not functioning properly and the company could not purchase the fans even at higher prices due to the US-led western sanctions imposed against Iran, reiterating that sanctions have encouraged the company to invest more in domestic production and led to its advancement. Tehran has repeatedly said that it considers its nuclear case closed as it has come clean of International Atomic Energy Agency (IAEA)’s questions and suspicions about its past nuclear activities.